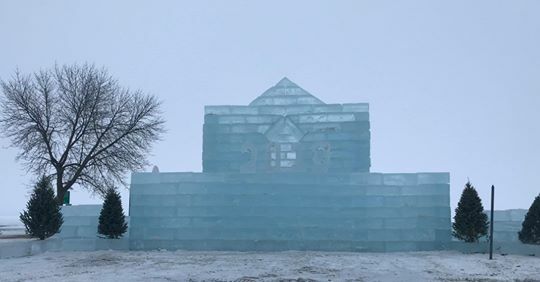 The 2019 Spicer Ice Castle looks over Saulsbury beach, waiting for the kickoff festivities to begin. the negative range, all event-goers seem happy to forget the cold and enjoy the festivities and each other’s company. This Saturday, January 19th, is the official kickoff event for the 2019 Spicer Winterfest, beginning at 9:00 a.m. with a Frozen 5K. Participants will race along Green Lake from Zorbaz to the Green Lake Bible Camp, looping back around to complete the full 3.1-mile race. Walkers are welcome, so everyone can come and enjoy the brisk winter morning air. Past years have seen 200 runners trotting at the lake’s edge. At 3:00 p.m. the festivities continue on Saulsbury Beach with Disney characters, burgers and hot dogs from the Spicer Lions, sleigh rides courtesy of 3 Sisters Furnishings, kick sleds from Prairie Woods, mini putt-putt from Little Crow Resort, and a bonfire on the beach. While event-goers are encouraged to dress warm, there will be a large walled tent with heaters inside to keep visitors warm. And inside, there will be an ice bar where wine and beer can be purchased (and hot cocoa will be served for free). 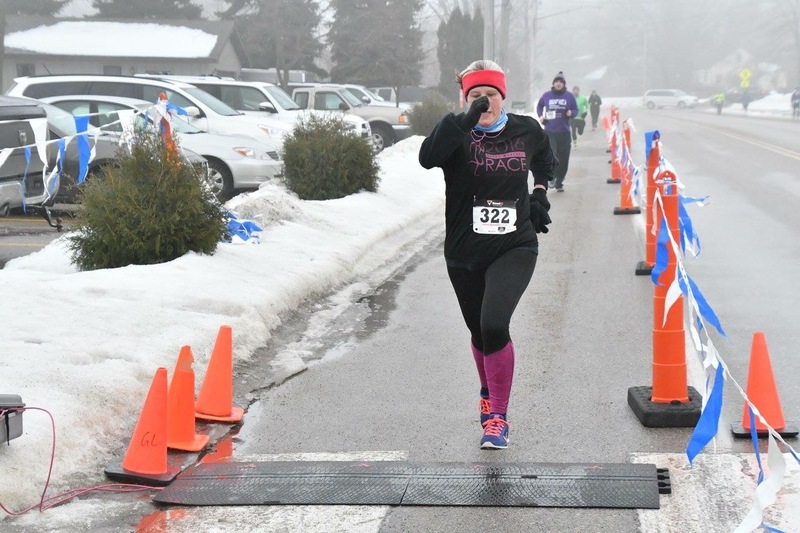 This runner conquered the 2017 Frozen 5K, sprinting by the finish line just outside Zorbaz. A live broadcast with Tim and Dan from Q102 will narrate the event for those still at home, leading up to the ice castle lighting ceremony and fireworks show at 5:30 p.m. As a new feature, large, hollowed-out ice pillars will stand tall on the beach, where flames will shoot out the tops. After the oohs and aahs from the fireworks, there’s a Fire and Ice dance from 6:00 to 10:00 p.m. to finish off the day’s events. The Dam Jammers will be rocking out the venue, with a $10 admission fee for adults and free admission for children. The proceeds will go to the Spicer Fire Department and Spicer Commercial Club. From January 19th through the 26th the SCC Medallion Hunt will be underway. In years past the medallions have been found at the city hall, the fire department, the Green Lake Baseball Diamond, and even Saulsbury Beach. The first clue will be issued on Saturday the 19th. 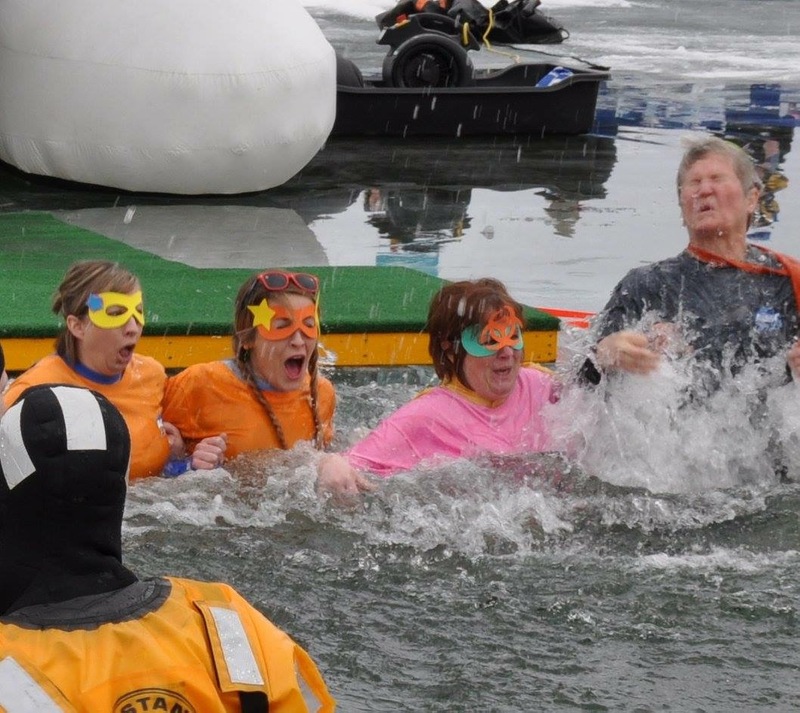 And on January 26th, Zorbaz on Green Lake will be hosting the 15th annual Polar Plunge! No testing the water here: these Polar Plunge participants jump right in to the icy waters without a moment’s hesitation. At 1:00 p.m., brave participants will jump into the frigid waters of Green Lake. The event is centered around Special Olympics Minnesota, with all proceeds going toward programming and events for more than 8,000 Special Olympics athletes statewide. Participants raise $75 (or more!) and launch themselves into the icy waters of Green Lake, often wearing goofy costumes for an added element of fun. Throughout Winterfest there will be weekly events, including BINGO nights at Zorbaz, special wine evenings at Glacial Ridge Winery, Sunday brunch at the Little Crow Tavern and Grille, and even a Super Bowl party at the Little Crow Event Center. So regardless of how long you’re in town or what events you’re interested in, the 2019 Spicer Winterfest has plenty of festivities for you. So, head on over this month (or the next) to the town that is always “nicer,” and participate in a community event that highlights all the great things about winter in Minnesota and the Willmar Lakes Area.